Infatuation is the illusion that something outside ourselves will make us happier. In this case, a Samsung Galaxy Note. The other day as I was at the cheap electronics chain to buy yet another LED bulb, I passed by the shop of Netcom, in this case the Nordic mobile telecom company. They not only sell subscriptions, but also phones, and any combination thereof. And they had the Galaxy Note! If you have not heard of Samsung Galaxy Note, that may be because it has just recently arrived. According to Wikipedia it has not yet come to the US, but it could be Wikipedia is not updated yet. It has come here to Norway, and it has caused quite a stir. 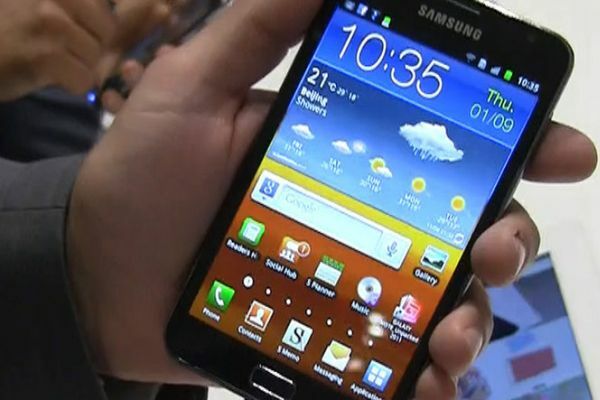 Galaxy Note is either the largest smartphone or the smallest tablet running the rapidly spreading Android operating system. As for its hardware specifications, those are fit for a tablet, going at the throat of the iPad. Or perhaps it goes for the eyes. Â The physical size is 5.3 inches, but the screen resolution is 1280×800, more than iPad 2 has on its 10 inch screen! For another comparison, on a TV it would qualify as “HD ready”. In other words, that’s an extremely detailed display, and the vivid colors that Samsung pack into its displays don’t hurt either. This is the closest thing yet to the “datapad” that I have predicted as the upcoming all-purpose entertainment and communication device. Or I could, you know, watch less YouTube and spend the time in prayer and fasting, or whatever people do who don’t have three mobile gadgets at any one time. This entry was posted in computers and tagged mobile phone by itlandm. Bookmark the permalink. What are your views on tithing? A dangerous practice. Tithing encourages religious leaders to court the rich. Jesus would have turned in his grave if he were still there, seeing his “good news for the poor” sold to the highest bidder. That said, paying for religious education, and generously so, is good and right, for those who can.